My people Elaine and Graham are both Dementia Friends Champions. They know a bit about the condition and run sessions so other people can find out about it, then in turn do their own little bit to help people to live well with the condition. As it turns out cats (and pets like dogs) can also help in their little way too. 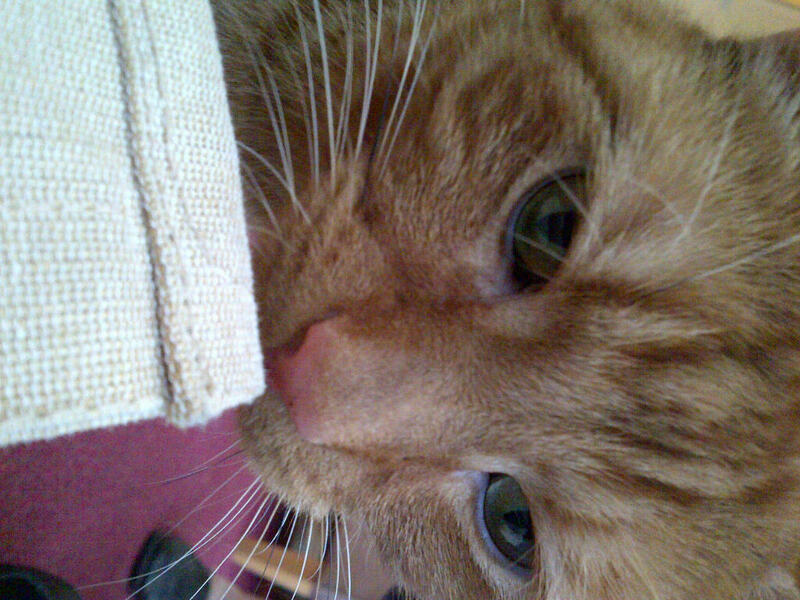 Here is a picture on Tinker He’s a smart and quite large Ginger fellow. 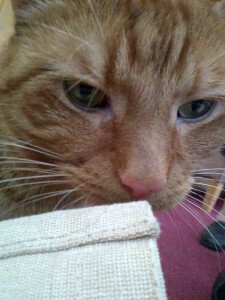 He was originally known as Tinkerbell until an informative visit to the vet in his early days. Tinker is a bit of a hero. He lives in a care home with some elderly folk, some of whom have dementia. Tinker makes a big difference in their lives. He gives them time and is patient and interacts and engages with everyone. Turns out my Dementia Friends Champions say that’s a big part of what everyone (even humans) can do to help people with dementia to live well. Share some kindness, some affection, some calm and some patience. Be like a cat and you will see the rewards as people engage more. This entry was posted in Dementia, Jobs and tagged Dementia on March 2, 2014 by MrMonty2014.